What does it take to be a CFO? Many accountants enter the finance profession with the aspiration of becoming a CFO – but how do you get there? Career paths can vary, but those who become CFO share something in common – the DNA of a CFO. Surveyed for Hays’ ‘DNA of a CFO’ report, 500 CFOs were interviewed face to face over December 2013 and January 2014. Our survey found that CFOs need commercial nous, the ability to cooperate with operations and a willingness to work hard in order to succeed in the top finance job. With 67 per cent of respondents aged between 41 and 55 and 84 per cent being male, the results of our survey paint a picture of the typical CFO as being a man in his 40s and 50s. Extensive experience is commonly found among CFOs with 57 per cent saying that have worked outside Australia or New Zealand during their career. The time spent overseas is highly valued as 96 per cent of CFOs who have worked abroad say that the experience has benefited their career. On the whole, finance leaders have notched up many years of post-qualification experience (PQE). Half had over 20 years of experience under their belt and a further one quarter had between 16 and 20 years’ PQE. Only one per cent qualified less than five years ago. So it seems that in order to succeed at the top you need to build up your experience, and to have had the time to sharpen your skill set and commercial acumen. Over half of today’s CFOs trained in an accountancy firm, and believe this is a solid foundation for a successful finance career. We also found that CFOs show an appetite for continuous professional development, using this as a tool to set them apart from their peers and improve their own performance. So for up and coming CFOs, gaining experience of projects as early as possible in your finance career can help you stand out from your internal and external competition. Interestingly, CFOs are also increasingly business partners who work in close contact with operations. They agree that commercial acumen is the most important skill for a CFO to possess, followed by people management, reflecting the CFO’s role as a leader, influencer and negotiator. Aspiring CFOs should note that 66 per cent think the up-and-coming generation need to get involved with their organisation’s operational activities. Networking is also an important part of the job with 65 per cent of CFOs responding that they have recently attended a networking event. Another interesting trend we are seeing is that CFOs from the private sector are increasingly filling public sector vacancies. Almost half of the public sector CFOs who completed our survey said their previous role was in the private sector. There is no avoiding the fact that CFOs usually work long hours with a 46 to 55 hour working week the norm – 55 per cent work 46 to 55 hours and a further 29 per cent work more than 56 hours per week. 66 per cent of respondents think that being hard-working has aided their career success but at the same time believe it’s important to make time for work-life balance. As well as spending time with family, 78 per cent play sport or exercise to wind down after work. Finally, 76 per cent say that if they had their time all over again, they would still choose the profession, and most would either like to stay in their current post or take on a higher finance leadership role in the future. Head over to Finni to view the latest accounting career tips and advice. 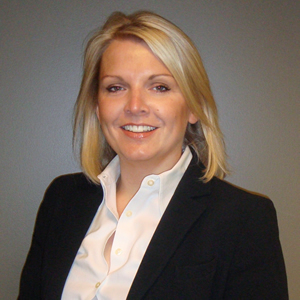 Lynne Roeder is Regional Director of Hays Accountancy & Finance, a specialism of recruiting experts Hays. She has over 16 years of experience within recruitment and is very passionate about the industry, which is why she is heavily involved in the training and development of recruiters at Hays.